Austria is a lesser known ski destination of Europe but surprisingly, the country has resorts that are better in terms of value for money as compared to their counterparts in Switzerland and France. You can expect a great welcome along with warm and friendly services here, even as you spend lesser than the other countries. Let us list the most amazing resorts in Austria that you must absolutely visit during the snowy months of the year. Considered as one of the best ski resorts in the world, Kitzbühel is located 95 km from Innsbruck. The resort features 170 km of ski slopes including the Streif, which is a challenging downhill ski race track. You can enjoy high-speed jumps and steep curves, bumps and depressions as you ski here. Kitzbühel hosts the annual Hahnenkamm in the month of January and it is an event that is famed for the toughest downhill ski races. The other attractions of the area include the medieval streets which are lined with luxury hotels, cafes and designer boutiques that make it a complete holiday destination for families. St Anton is a ski resort that offers adventures for the brave hearted skiers. Its highest lift, the Valluga, stands tall at the height of 2810 m. The major attractions of the resort include the off-piste skiing and an excursion to Zürs which is located off the back of the Valluga. While Zurs is meant for seasoned skiers, the Rendl ski area is easier to navigate for the beginners. The nightlife of St Anton is another reason of the popularity of this resort. 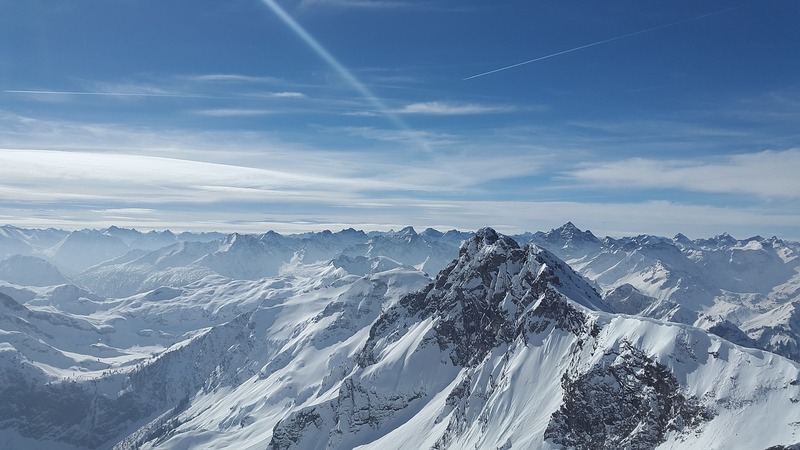 Next on the list of top skiing destinations in Austria is Saalbach, which takes you 90 minutes to reach if you take Salzburg airport transfer. Saalbach has some traditional bars, cafés, and designer boutiques in its centre. You can also check out the neighboring Hinterglemm, which is quieter and makes a better family destination. Most of the slopes in this resort are south-facing, which does not always guarantee good snow. For this reason, mid-winter is considered the best time to visit here. Sölden is the resort that you must visit if you are looking for reliable snow. The slopes in the Ötz valley are ideal for the intermediate-level skiers. Though the resort may not be very appealing, it has extensive slopes that offer lots of off-piste opportunities for skiers who yearn for true adventure. Ski season in the resort continues for most of the year because it has two glaciers, the Rettenbach and the Tiefenbach, linking into the ski area. Also known as the party resort, Ischgl has an incredible a full-on nightlife that is as exhilarating as the high-quality intermediate pistes. The resort is a much-loved venue that hosts some of the best pop artists of the world and attracts thousands of ski enthusiasts and party lovers from across the globe every year. All these resorts are well-connected and easily accessible from the major cities of Austria. So the next time you are traveling to this beautiful country, make sure that you have at least a few of them on your bucket list.